Is Shogun II still the best Total War? Total War: Rome II might have been patched within an inch of its life, but Japan has always proven a leaner, more tightly-packed muse for Creative Assembly. Perhaps it’s a simple matter of geography. Three years on, Feral Interactive have finally ported the series high point to Mac. Feral Interactive handled Mac versions of Rome 1 and Empire back in the day, and have since ported some very worthy strategy games to the platform: Tropico 4, XCOM and its expansion. They’re the same safe pair of hands Crystal Dynamics entrust with bringing each successive Tomb Raider to the Mac. 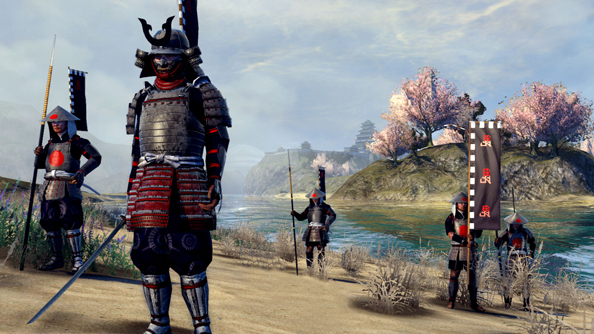 They reckon Shogun II represents a high point in Total War’s history, and we’re inclined to agree. There’s no date to know just yet – the port’s simply “coming soon”. Any of you play on a Mac as your secondary or even – gasp – primary PC?